This bracelet was made from a spool of sterling silver wire, made into rings and then woven to form the bracelet part. 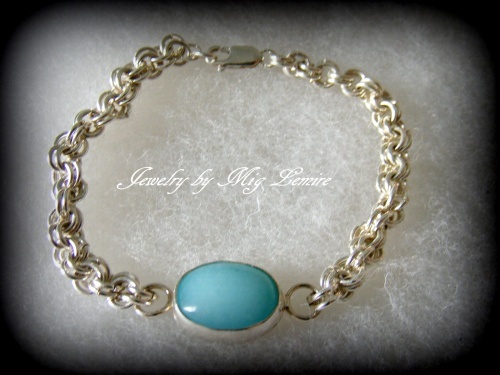 Stone is blue chalcedony gemstone and soldered in sterling silver. Fits medium size wrist but if you want it larger or shorter please specify when purchasing.